AirClima provides to all its customers a full and professional consulting, study and design service of civil and industrial air conditioning systems. In all environmental conditions and whatever your need is, from a small domestic system to a complex system of air-conditioning for business, we will advise you for the best. Our team of sales engineers has just one goal: to try every day to give the best of himself, developing together with the customer clear and effective solutions and shaping the project, so that everything is built around its specific needs, very carefully and with great attention to details. AirClima is now from over 30 years an established reality on the territory, and particularly in Milan; a solid company with a wide and complete offer, that can satisfy any need of individuals and businesses for a perfect climate at homes, offices, industrial buildings, hotels, hospitals and commercial buildings. Here are some examples of civil and industrial plants on which we can provide a comprehensive support. Book an appointment on-site or a free Inspection. 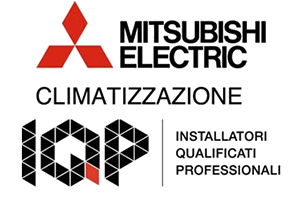 Book an appointment at our office in Milan to talk to our experts and design your air conditioning or heating system for your environment. If you book an inspection at your home, one of our technicians will be there to assess the situation and make a proposal for the air conditioning system that best suits your needs. At the end of the booking process you will receive an email confirming your reservation.